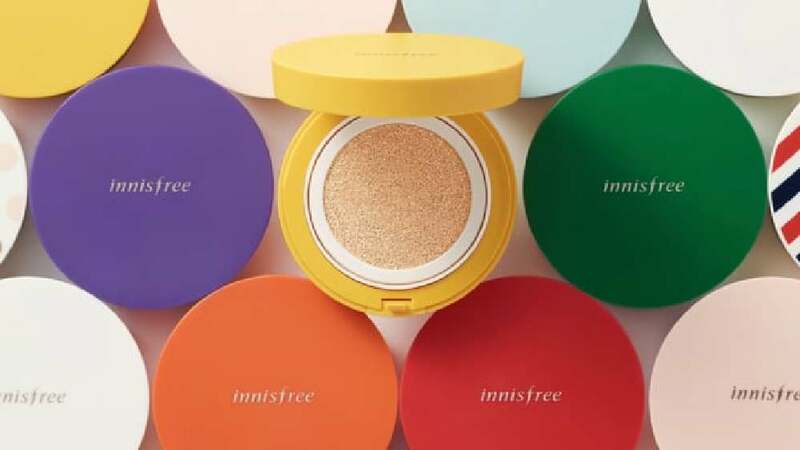 innisfree, a cosmetics brand only using organic ingredients, developed a special product called My Cushion that allows customers to create their own cosmetic cushions. The series offers a selection of 100 different cushion cases and beauty tools featuring different patterns, includ-ing polka dots, stripes and many others, and 12 colours that are inspired by the landscape of Jeju Island. Pastel tones and vivid colours may be chosen to attain the pattern of one’s choice and liking. The new case is remarkably light in weight and 22.5 mm thick. Furthermore, it is angled towards the bottom, presenting a slim and compact shape, and is packed in a simple box of paper, which also has a modest and natural appearance. All 100 types of cushion cases have a matte finish and exude a feeling of warmth and softness as well as they, despite their different surfaces, have a uniform look. Thus, the brand identity creates a high recognition value while, at the same time, the packaging design fulfils the demands for individuality. Many stylish variations from which consumers can choose, a beautiful graphic design as well as an intuitive opening mechanism: these are the striking qualities of this eye-catching product packaging design for the cosmetics brand innisfree. The pleasant and immediately recognisable visual appearance convinces with its consumer-oriented concept.